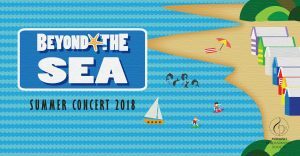 Presenting music written about or inspired by what lies Beyond the Sea! “Early Bird” pricing available until 7 December 2018; after this date door prices will take effect. To purchase MUPS Member tickets, please contact tickets@monashphil.org as these are not available via TryBooking. Please note that all ticket sales are final – no refunds.